Nu Vela Laser and Vein Center is one of the top vein clinics in the Los Angeles area. The vein specialist of the center, Dr. Raffi Dishakjian, focuses on non-surgical varicose vein treatment and laser vein removal. Dr. Dishakjian is one of the earliest adopters of minimally invasive leg varicose vein treatment procedures in the Los Angeles area. He has practiced vein care continuously since 2005, diagnosing and treating hundreds of patients a year. Dr. Dishakjian provides comprehensive diagnosis and individualized treatments for all types of superficial vein disorders. The range spans from complicated cases of recurrent chronic superficial venous insufficiency to simple sclerotherapy for leg veins. Dr. Dishakjian believes an educated patient is his best clientele. With that in mind, he has worked diligently to develop a website that provides all the information you need, in a language you can understand. If there is something about vein therapy that is missing on the website, feel free to call at 818-832-4500 and ask questions. Some doctor’s offices can handle only the simplest spider veins. Other vein centers treat only the underlying vein disease but deliver poor cosmetic results for surface veins. Dr. Dishakjian, a phlebologist (vein specialist) emphasizes on achieving both objectives. The unsightly or problematic veins that the vein doctor personally treats include leg varicose veins, reticular (blue veins) and spider veins of the legs, chest, arms, hands, and the face. The advanced and state-of-the-art vein treatment systems that the vein clinic houses include Endovenous Laser Therapy (EVLT) and Venefit Targeted Therapy. These are both FDA approved technologies to treat not only varicose veins but also their cause; namely, chronic venous insufficiency. In addition, the center has an entire range of vascular and cosmetic lasers for treating spider and reticular veins on delicate parts of the body and the face. Click the appropriate button to access information about a procedure, or simply to explore the vein treatment options that the center offers. I first went to Nu Vela for an IPL Facial to rid myself of the brown spots appearing on my California face. A week later, people were giving me all kinds of compliments. I then had a huge bulging vein running done my calf that I had for years. After treatment, which consisted of a laser probe inserted thru the vein it is completely gone! Dr. D has also “freshened” up my worry lines and sagging cheekbones with a bio-stimulator volumizer. It looks wonderful and natural. I will be returning to Nu Vela for my unslightly spider veins and another IPL. Jessica, receptionist, is pleasant and helpful!! The photos in our picture gallery were personally taken by Dr. Dishakjian, right before a vein treatment and then after full recovery. If you don’t see a case similar to yours, don’t worry. Dr. Dishakjian has many more in his office and he always shows his patients photos of similar cases during the first consultation session. Dr. Raffi Dishakjian, the skilled vein specialist of the center, has extensive expertise in the diagnosis and treatment of venous disease, vein disorders, and their underlying causes. His patients describe him as a very professional, caring, knowledgeable, and perfectionist doctor. Dr. Dishakjian, a board-certified physician, phlebologist and vein doctor, is the founder and the medical director of Nu Vela Laser and Vein Center. Unlike most vein clinics and medical spas in Southern California, Dr. Dishakjian personally performs all vein treatments and cosmetic surgery procedures, including Ultrasound vein mapping and laser spider vein reduction, to make sure his patient receive the utmost care they deserve. Dr. Dishakjian’s passion for aesthetics, his dedication to provide excellent vein care, together with his adherence to the highest ethical standards of medical profession, have made him one of the most sought after phlebologists (vein doctors) in the region. Located in the affluent and beautiful Porter Ranch neighborhood of the San Fernando Valley region of the city of Los Angeles, California, Nu Vela Laser and Vein Center was designed to provide patients with privacy in a modern and serene medical suite. Our plush reception and waiting room together with the entertainment amenities and the elegant décor create a comforting and relaxing spa-like atmosphere to meet your needs while you wait, receive a treatment, or recover after a procedure. 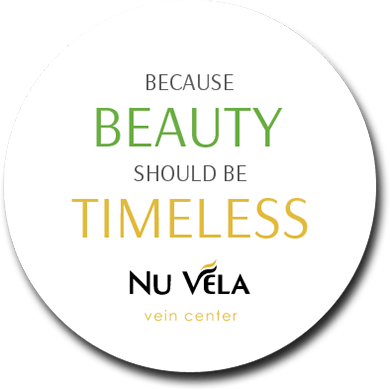 In addition to offices dedicated to vein treatment and cosmetic laser surgery, Nu Vela also has an in-house skin care room run by a professional aesthetician, who performs, under the direct supervision of Dr. Dishakjian, medical-grade skin rejuvenation and spa treatments. Why not! Pamper yourself with a European facial. Dr. Dishakjian and the receptionist at the front desk are always present on site to help you each step of the way and welcoming you to one of the most pristine vein centers in Southern California. "My first impression upon walking into Nu Vela was of utmost serenity, warmth, and comfort! It is a clean and well organized place. I knew right away that Dr. Dishakjian (I call him "Dr. Raffi") would be a perfectionist and highly professional. I came here to have several varicose vein procedures done; VNUS closure and sclerotherapy. They worked with my insurance company to deem it medically necessary on my behalf. My varicose veins were highly complex and confounding, but Dr. Raffi went above and beyond to resolve my vein issues. He even came in on a Sunday to check my recovery post-procedure and was very professional in his expertise. I knew he was getting frustrated with my complex veins, but because he is such a perfectionist, he remained calm and patient and did great work. He tells great jokes which helped put all of us at ease when my veins didn't like him." We are located in the northwest San Fernando Valley area just minutes away from Chatsworth, Granada Hills, North Hills, Northridge, Valencia, Calabasas, Agoura Hills, Westlake Village and other fine, upscale communities, including much of Ventura County.